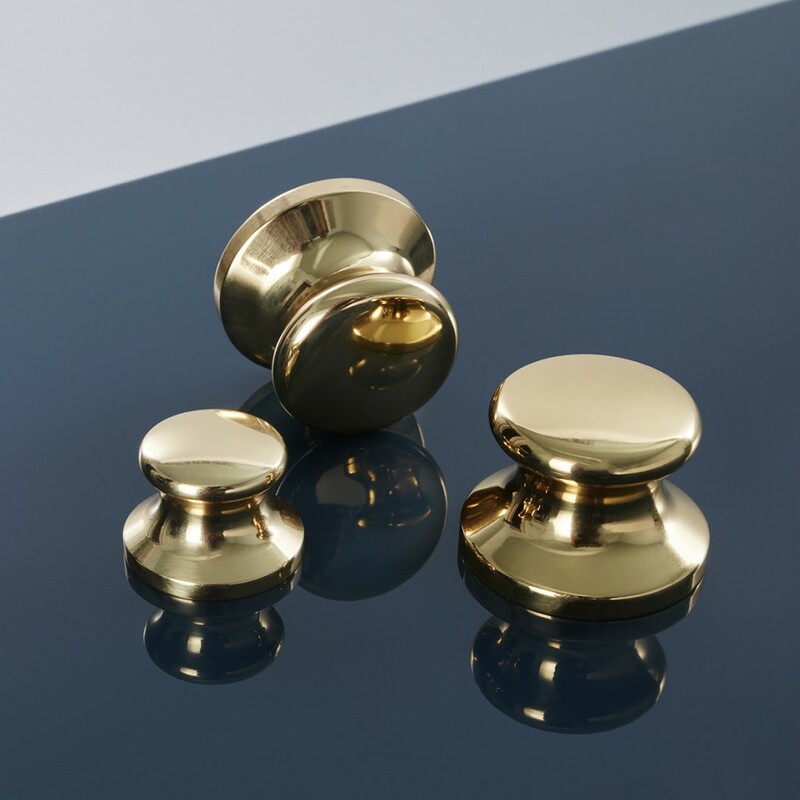 These solid brass pull knobs, available in two sizes, lend an understated flair to any cabinet or drawer. 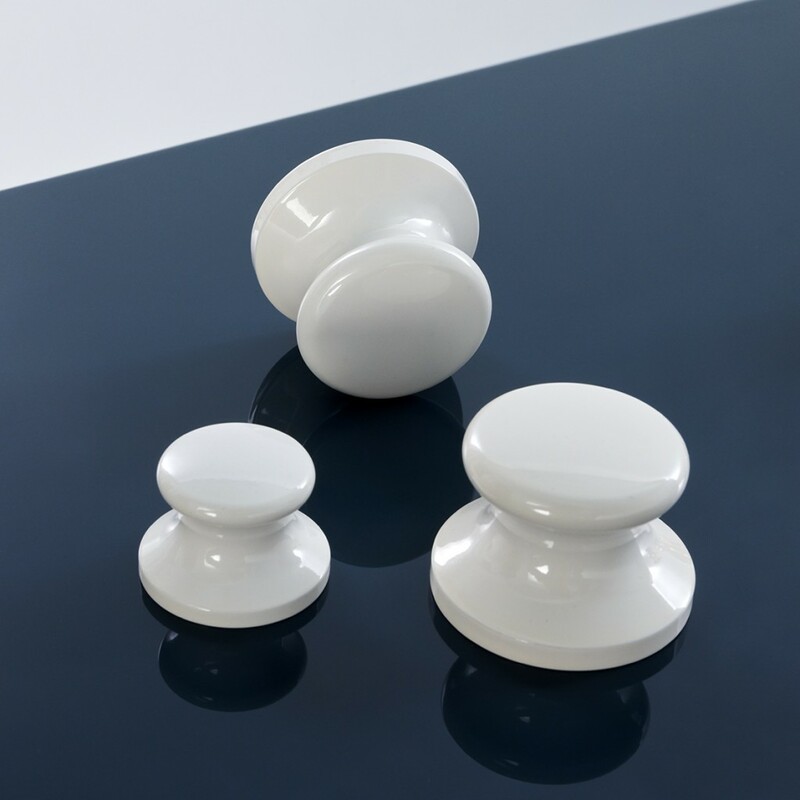 Whether in its natural golden finish or contrasting white enamel, the softly rounded shape evokes a maritime feel reminiscent of bollards, the short posts on ships and quayside, where boats are secured with rope. Material: Polished or powder coated brass.